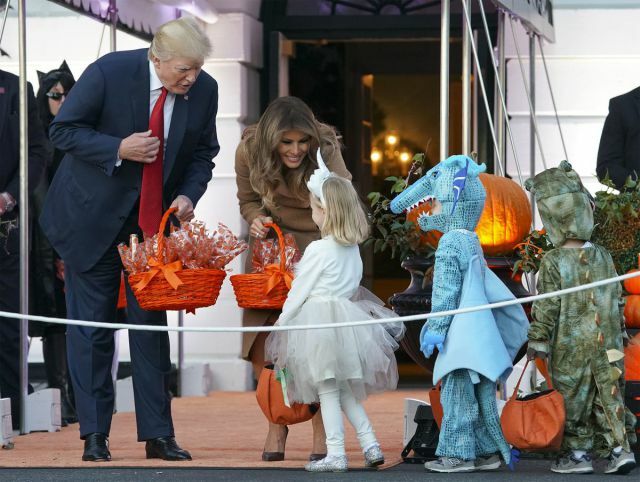 Watch some of the 27 minute video ("President Trump and The First Lady Participate in Halloween at the White House") on YouTube here. Good fun. What’s the deal with the Manafort and Gates indictments? Is this the beginning of the end of Trump’s Presidency? 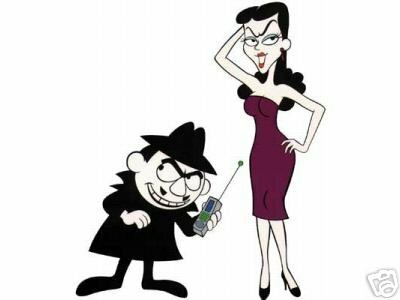 Has Mueller found all those colluding Russians, Russians, Russians? McCarthy’s article at National Review is here. Gov. Kasich: do you mean legal or illegal immigration?
. . . Gov. John Kasich (R-OH) said the “bulk” of the Republican party was pro-immigration and not moving towards nationalism. Speak for yourself, Gov. Kasich. You are not speaking for Americans who support LEGAL immigration, not ILLEGAL immigration or amnesty. The Justice Department has reached settlement agreements with groups that alleged their constitutional rights were violated when their applications for tax-exempt status received extra scrutiny because their names contained words such as “tea party” or “patriots,” court filings show. In one agreement, which still must be approved by a judge, the Internal Revenue Service admitted that its treatment of the organizations was “wrong” and expressed a “sincere apology” for what happened. 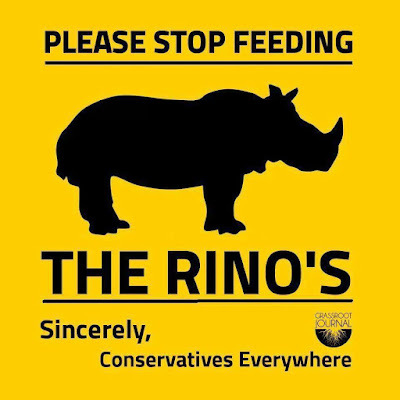 The targeting of tea party organizations that applied for tax-exempt status was a major controversy of the Obama administration, as hundreds of conservative-leaning groups received scrutiny. In some cases, it delayed the processing of applications for years. Many felt the conduct was an example of the president punishing his political enemies. 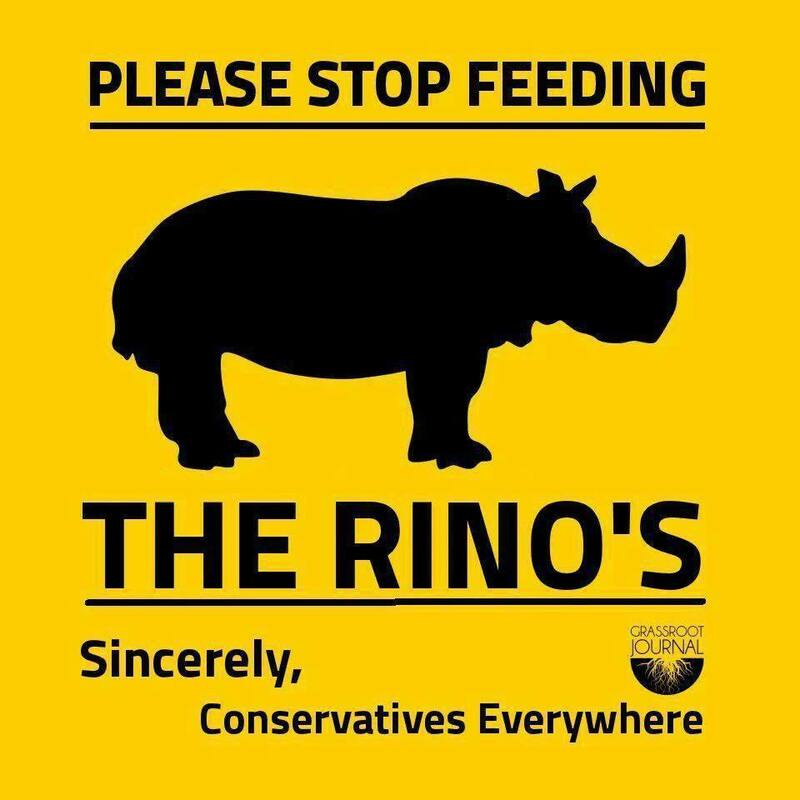 The Justice Department, too, conducted a criminal investigation but ultimately decided not to bring charges, including against Lois Lerner, the IRS official who oversaw tax-exempt groups. “Our investigation uncovered substantial evidence of mismanagement, poor judgment and institutional inertia, leading to the belief by many tax-exempt applicants that the IRS targeted them based on their political viewpoints,” Assistant Attorney General for Legislative Affairs Peter J. Kadzik wrote in 2015. "Poor management"? 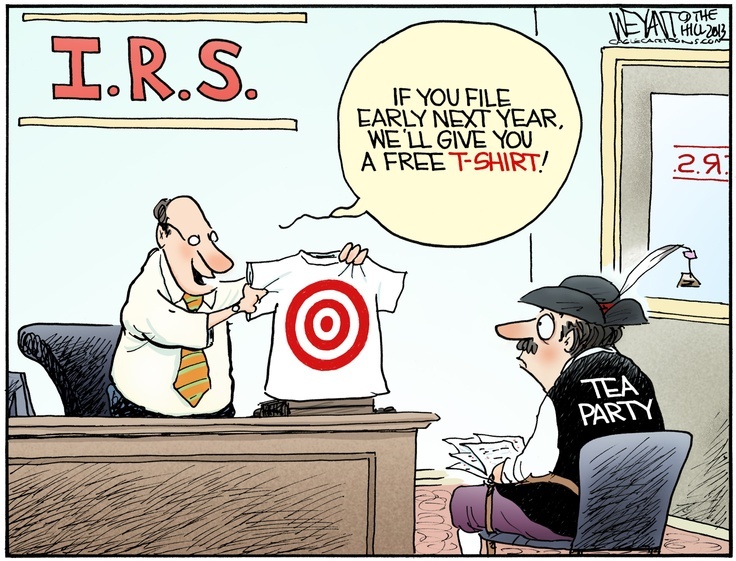 Weaponizing the IRS is “poor management”? And of course, nobody is going to jail, losing their job, or losing their pension. Read the rest of the WaPo story here. There’s also a report at cleveland.com. The settlement, as unsatisfactory to many as it is, at least closes the book on this sordid chapter in the history of the IRS. Will it curtail the IRS from using politics to enforce tax law again? Since no one was punished after this blatant example of political use of the tax agency, I doubt it. Full blog post is here. Is Pastor Darrell Scott running for Congress? L to R: Steve Loomis, Cleveland Police Patrolman’s Assoc. 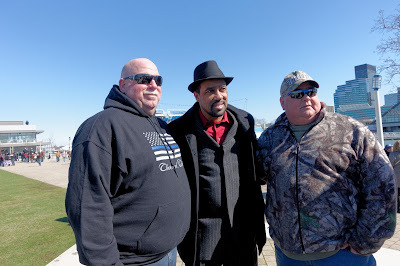 ; Pastor Darrell Scott, New Spirit Revival Center; and Ralph King, Cleveland Tea Party / Main Street Patriot. 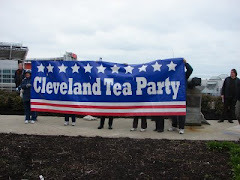 Photo taken at The Spirit of America Rally in Cleveland last March by CTP's roving photographer, Pat J Dooley. 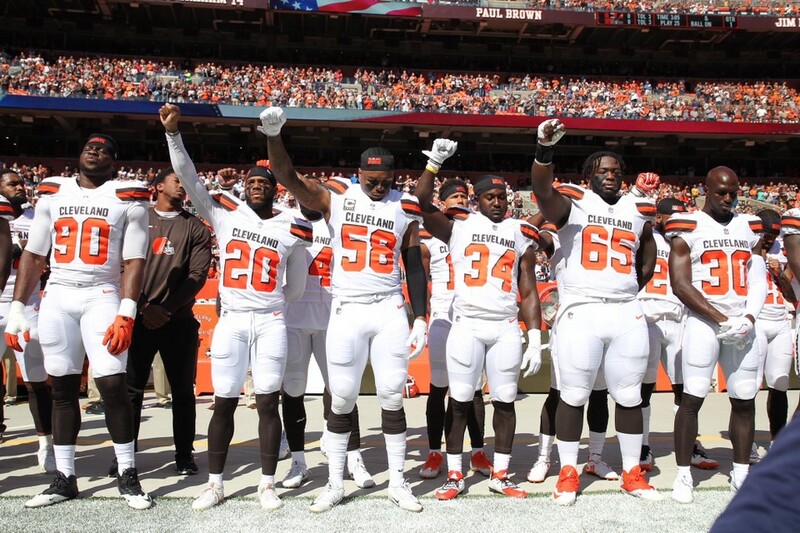 Reed and Jackson presented very different views of where Cleveland stands today. Jackson said he sees a bright future for the city. He credited his administration for working hard the last 12 years to steer the city through a predatory lending crisis, the foreclosure crisis and the recession, and positioning Cleveland to advance. "We've worked hard every day to position ourselves where we could have a bright future," Jackson said. He acknowledged that some parts of the city have fared better than others. His fourth term, he said, would focus on ensuring that all residents benefit from a better quality of life and greater prosperity. Reed described a different Cleveland - one in which he argued Jackson has failed as a leader and people are suffering as a result. While acknowledging some neighborhoods have prospered, others have been left behind, he said. Crime rates, poverty rates and jobless rates continue to be among the worst in the nation, he said. "When you elect me mayor of Cleveland you'll have a safer city," Reed said. After putting together a blog last month on Issue 2 – the Ohio Drug Price Relief Act – it may still be confusing. Here is the very brief summary from the Ohio Pharmacists Assoc. with a link to the full article – which is accessible to any voter. It also contains a video message. The Ohio Pharmacists Association (OPA) has joined a growing coalition of stakeholders, experts, and patients in opposition to Issue 2 the so-called “Ohio Drug Price Relief Act” - a proposal (referred to as an initiated statute) that will be on the November 2017 ballot in Ohio. As part of the Ohioans Against the Deceptive Rx Ballot Issue coalition, OPA will be working hard to defeat a measure that could have serious negative consequences for pharmacies, payers, employers, veterans, and patients. 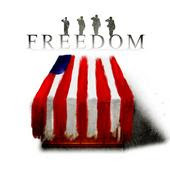 The "Ohio Drug Price Relief Act" is being pushed by controversial California activist Michael Weinstein, and would prohibit Ohio’s state government from paying any more for prescription drugs than the lowest price paid by the United States Department of Veterans Affairs. Their web page is here. 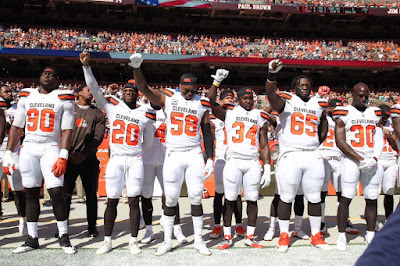 As more and more football players have protested during the national anthem and President Donald Trump has spoken out against them, fans have fired back at the National Football League for not taking action by boycotting, which has resulted in ticket sales plummeting. 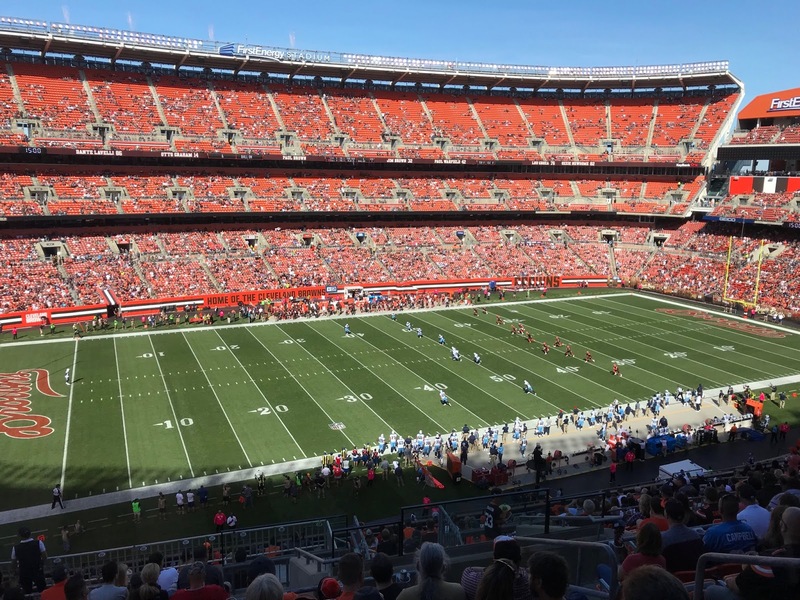 Pictures of empty stadiums are the best way to see just how powerful the boycott truly is. 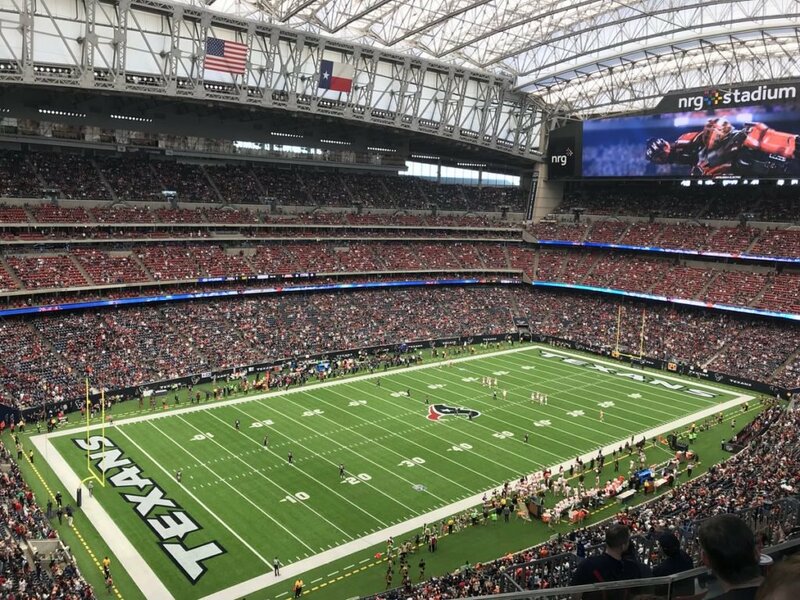 Click here to see more half-empty stadiums. 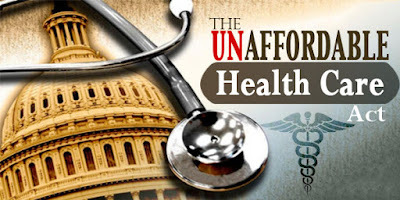 The law is unraveling on its own terms.
. . . What Trump has actually done is end the illegal payoffs without which insurance companies have no rational choice but to jack up premiums or flee the Obamacare exchanges. The culprits here are the charlatans who gave us Obamacare. To portray Trump as the bad guy is not merely fake news. It’s an out-and-out lie. Which is to say: It’s about as honest as the Democrats’ labeling of Obamacare as the Affordable Care Act. The subsidy payments to insurance companies may be “critical” to sustaining the ACA, but they are not provided for in the ACA. The Obamacare law did not appropriate them. No legislation appropriates them. They are and have always been illegal. In essence, we are back to the question we asked a couple of weeks ago in connection with Trump’s then-anticipated decertification of Obama’s Iran Nuclear Deal: It is not whether the president should take this action; it is why he failed to take it before now. Under the Constitution, no funds may be paid out of the treasury unless they have been appropriated by Congress. It is not enough for lawmakers to authorize a government program or action. The House and Senate must follow through with a statute that directs payment for the program or action. Standing alone, authorization is just aspiration; it does not imply appropriation. Congress authorizes a lot of things, but only the things for which Congress approves the disbursal of public money are permitted to happen. Labels: Affordable Care Act, Andrew McCarthy, National REview, ObamaCare, President Donald Trump. 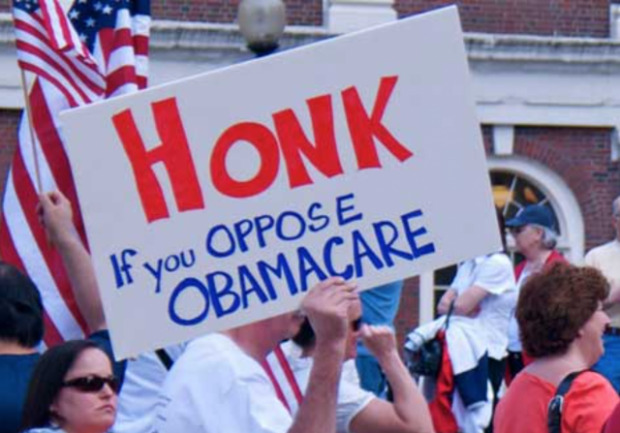 Despite the GOP winning majorities in both the House and Senate, and then winning the White House, the pathetic GOPe in Congress have utterly failed to deliver on its promise to repeal the misnamed “Affordable Care Act.” The bill to repeal should have been on the President’s desk on Day 1, but the GOP, it would seem, never dreamed they’d have to make good on the promise. Free at last! That’s the message for millions who don’t get health coverage at work and, until now, faced two dismal options: going without insurance or paying Obama­Care’s soaring premiums. On Thursday, President Trump announced changes that will allow consumers to choose coverage options costing half of what ObamaCare’s cheapest bronze plans cost. Democrats are already accusing the president of kneecapping ObamaCare, but these changes will reduce the number of uninsured — something Democrats claim is their goal. The Affordable Care Act requires everyone to buy the one-size-fits-all package. You have to pay for maternity care, even if you’re too old to give birth. You’re also on the hook for pediatric dental care, even if you’re childless. It’s like passing a law that the only car you can buy is a fully-loaded, four-door sedan. No more hatchbacks or two-seaters. Trump’s taking the opposite approach, allowing consumers choice. His new regulation will free people to again buy “short-term” health plans that exclude many costly services, such as inpatient drug rehab. These plans aren’t guaranteed to be renewable year to year; the upside is they cost much less.
. . . Trump has now seized the initiative, after congressional Republicans fell flat on their faces and failed to address the pain ObamaCare is inflicting on consumers stuck in the individual insurance market. The president should keep going. What’s next? Trump should use his discretion to stop enforcing the tax penalty on those who don’t buy ObamaCare-compliant plans, including buyers of short-term plans. Then he should cancel the sweetheart deal his predecessor weaseled for members of Congress and their staff members. Even though the Affordable Care Act requires them to buy coverage on ObamaCare exchanges, Obama arranged for them to have a choice of 57 gold plans and have John Q. Public pick up most of their costs. It’s an outrage. Once members of Congress are feeling the same pain as everyone else, they’ll be more focused on repealing and replacing the dysfunctional health law. In the meantime, Trump is wisely providing relief where it counts the most — in people’s wallets. Election Day is less than a month away. On the ballot are quite a few candidates, including those running for judgeships, and a few issues that voters may not be familiar with. 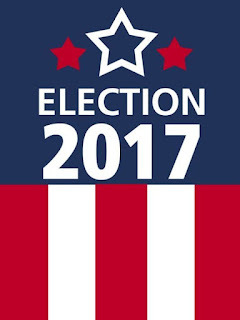 So I am posting a link to the Cuyahoga Board of Elections here. Follow the prompt boxes to enter your voting locations details (which will appear on your voter’s postcard that should have already arrived in your mailbox) including city or suburb, and where applicable, ward and precinct. Your sample ballot will then download for you to open. And you can take your time looking up candidates and issues, so you can make up your mind before you head for the polls next month. Lake County voters: go here. Geauga County voters: go here. 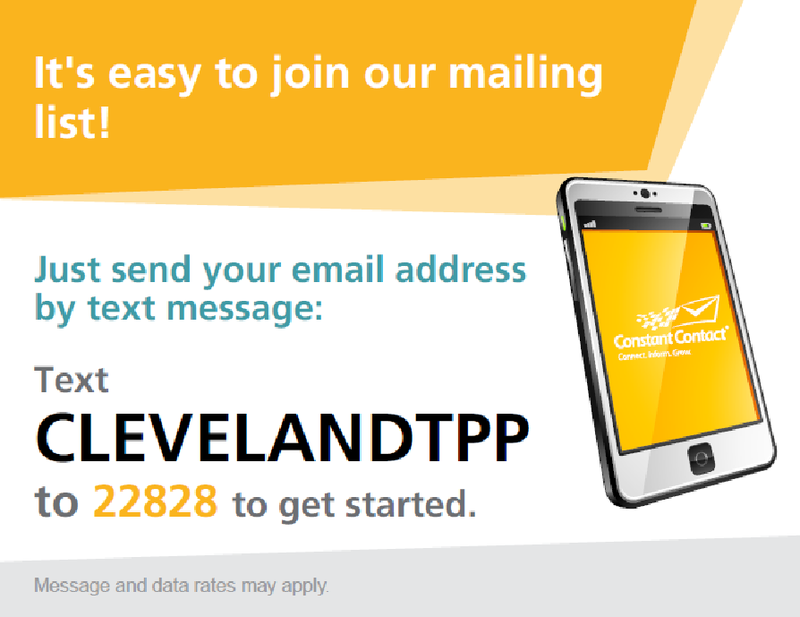 Lorain County voters: go here. Columbus Day commemorates the arrival of the Christopher Columbus in the Americas. It is celebrated every second Monday of October, and has been a federal holiday since 1937. Columbus Day has been a federal holiday since President Franklin D. Roosevelt first proclaimed it such in 1934. One hundred years ago this month, Colorado Sen. Casimo Barela’s bill was signed into law, designating Oct. 12 of each year as a public holiday known as Columbus Day. Roosevelt and Barela recognized the significant achievements of Christopher Columbus, and rightly chose, with millions of other Americans, to honor him. 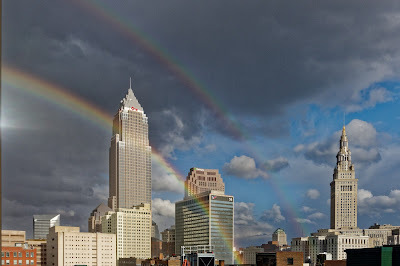 Columbus possessed admirable qualities, of which all Americans can be proud. Even by his detractors, he is seen as a skilled sea captain of the highest order. He challenged the conventional thought that the Earth was flat, seeking to “reach the east by going west,” an idea to which the scientists of the day were forcibly opposed. He challenged the Aristotelian philosophy of science that had guided scientists for centuries in favor of the newer philosophy of science that placed observation in a primary role of analysis. He supported the heliocentric concept of the solar system with Galileo, Copernicus and Kepler before it became known by that name. In capitalistic spirit (admirable in the eyes of most Americans), he sought glory, wealth and a title of nobility by opening new trade routes to China and Japan. Most importantly, though, Columbus discovered the American continental coast and recorded the voyage in a way that enabled others to repeat the feat. The real achievement worthy of holidays, monuments and namesake cities is that he opened a route that could be sailed again by himself and others. It is Columbus’ method of discovery and record-keeping that distinguishes him from other explorers who may previously have “discovered” the New World. He opened the door to further discovery by explorers like Magellan, Cooke, Drake and Hudson. His discovery led to the creation of the greatest nation on Earth, the United States of America. Unfortunately, Columbus Day has become controversial, and Social Justice Warriors have been claiming the day instead for “Indigenous People.” If there have been widespread panel discussions, debates, symposiums, and hearings at local City Halls about making this change, I have not found the reports. 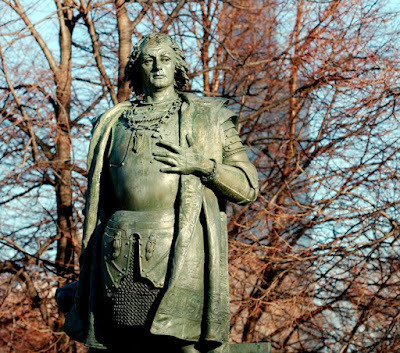 [UPDATE: Lawmaker takes first step to remove Columbus Day in NYC.] Why not? Initiating a tribute to indigenous people need not involve erasing a significant part of our country’s history. Each year, more cities, states and universities opt to celebrate an alternative to Columbus Day: Indigenous Peoples' Day. Instead of honoring Christopher Columbus, the Indigenous Peoples' Day recognizes Native Americans, who were the first inhabitants of the land that later became the United States of America. Advocates for the switch to Indigenous Peoples Day argue that Columbus did not "discover" America in 1492 but instead began the colonization of it. For decades, Native American activists have advocated abolishing Columbus Day, which became a federal holiday in 1937. This year, both Indigenous Peoples' Day and Columbus Day are on Monday, Oct. 9. While the United Nations declared August 9 as International Day of the World's Indigenous Peoples in late 1994, Berkeley, Calif., had already become the first city in the U.S. to replace Columbus Day itself. The city's decision was influenced by the First Continental Conference on 500 Years of Indian Resistance in Quito, Ecuador, in 1990, which spurred another Northern California conference that discussed similar issues and brought them to the Berkeley City Council, TIME has reported. With the exception of Santa Cruz, Calif., and the state of South Dakota, which adopted the similar Native American Day in place of Columbus Day in 1990, the cities, states and universities that have chosen to celebrate Indigenous Peoples Day instead have done so only recently, with cities like Minneapolis and Seattle voting to celebrate Indigenous Peoples Day instead in 2014. Not surprisingly, the only Ohio city or town on Time's list is Oberlin. But at our house, we’ll be toasting Christopher Columbus. 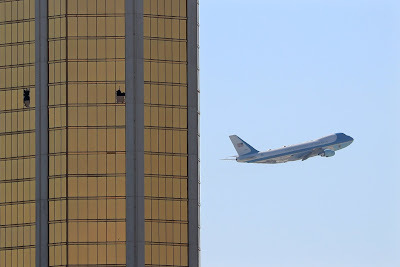 Earlier today, President and Mrs. Trump visited Las Vegas and met with first responders and families of victims. 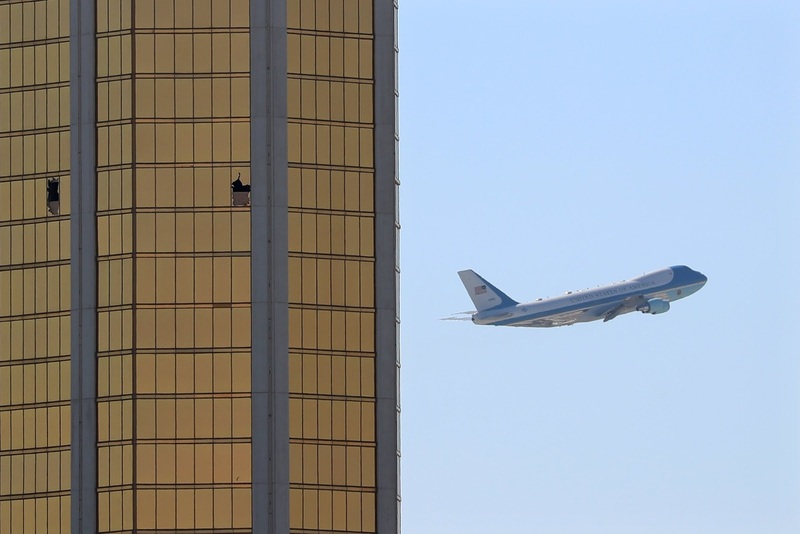 Business Insider published this photo of Air Force One departing LV, “flying past broken windows on Mandalay Bay hotel that Vegas gunman shot from”. 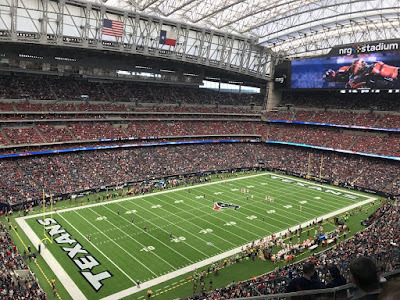 during the playing of the national anthem on Sunday. 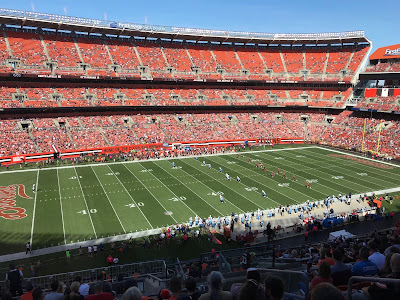 The Browns are still losers. Photo and caption above, and story here on cleveland.com.